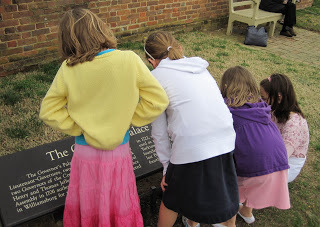 Little makes history come alive to children like visiting a place they’ve learned about in school or read of in books. Our trip was rather short due to poor weather that day, but I plan to return when we can spend more time exploring the area. Has your family visited a historic location? Which place have you enjoyed the most? Thanks! I've made it through four loads of laundry today and the suitcases are all unpacked and put away. Whew!! !